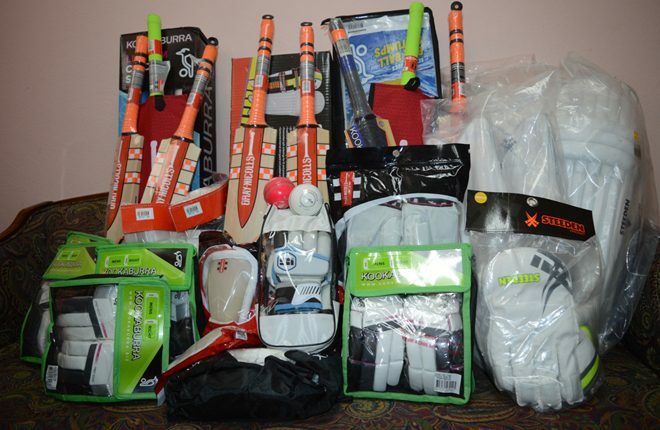 Basseterre, St. Kitts, October 06, 2017 (SKNIS): Several pieces of cricket gears were donated to the Government of St. Kitts and Nevis by the Government of Australia as a way of promoting family togetherness and to further encourage women and children to love the sport. 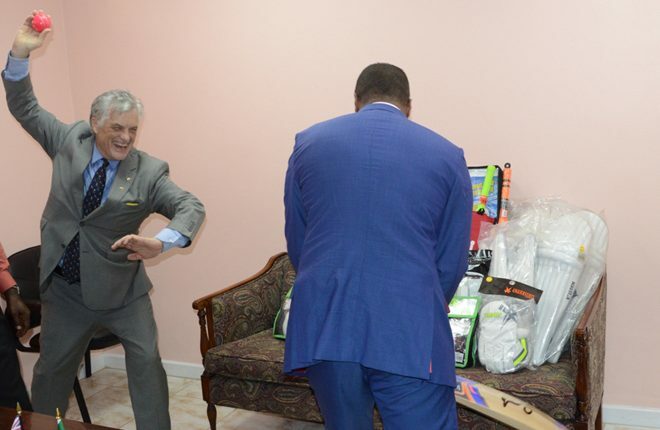 Minister of Foreign Affairs, the Honourable Mark Brantley, accepted the donation that was handed over by His Excellency John Pilbeam, Australia’s High Commissioner to St. Kitts and Nevis. He expressed thanks to the Government and people of Australia and said that the cricket gears will be put to good use. The foreign minister hailed High Commissioner Pilbeam’s visit as a testament to the strong efforts of the Australian Government to stand in solidarity with St. Kitts and Nevis and other neighbouring islands after being destroyed by two devastating hurricanes in September. His Excellency Pilbeam said that he views the cricket gears as more than just a donation and hopes that they will promote family togetherness especially among women and youth. Minister Brantley shared similar sentiments and said that it is hoped that these gears can be used to foster some great contest, competitions and some family type events between St. Kitts and Nevis. High Commissioner Pilbeam said he is looking forward to this being rolled out and noted that he will definitely be back to St. Kitts and Nevis once it is implemented. 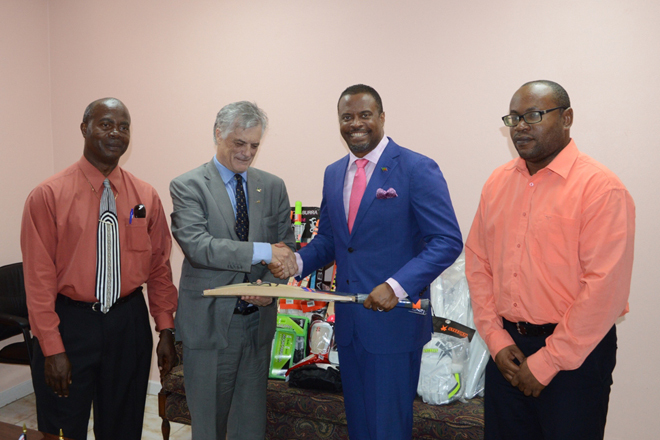 The handing over ceremony was also attended by Permanent Secretary in the Ministry of Foreign Affairs, Kaye Bass; Director of Sports in St. Kitts, Anthony Wiltshire and in Nevis, Jamir Claxton; staff members from the Ministry of Foreign Affairs, and also media officials.